Happy Wednesday and welcome back to QUICK BREAD WEEK! 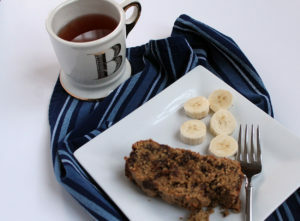 Who doesn’t love a slice of warm and flavorful bread on a cold winter morning! It is comfort food, for sure. Has anyone tried the apple cinnamon bread recipe I shared earlier this week…didn’t I tell you it was delicious? Chocked full of apples and that crunchy sugar topping! 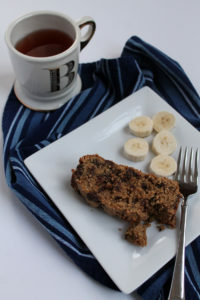 Today’s quick bread recipe is OATMEAL PEANUT BUTTER CHOCOLATE CHIP BANANA bread. I know that’s a mouth full, but those ingredients together make for a great bread. Something slightly different about this bread is how you mix the ingredients…they are combined in the blender. 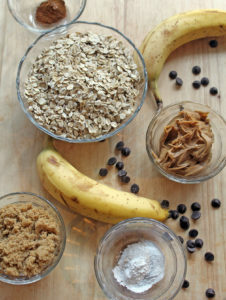 You start by pulsing the oatmeal into fine crumbs, and then you add the rest of the ingredients. This is a thick batter, and you fold in the chocolate chips…the best part…after everything is combined. This quick bread has a great texture, and all those flavors together are a sensory overload for your tastebuds! 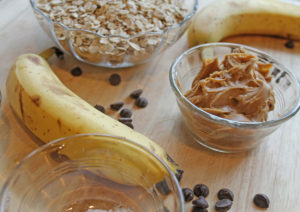 And it can’t be that bad for you since it has oatmeal and bananas in it, right? 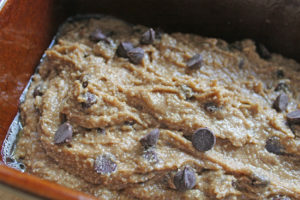 Hope you enjoy today’s quick bread recipe! Spray a loaf pan with cooking spray. 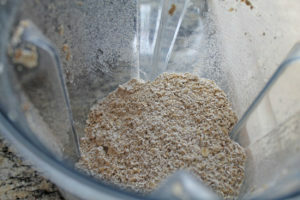 Put the oatmeal in a blender and pulse to a fine crumb. 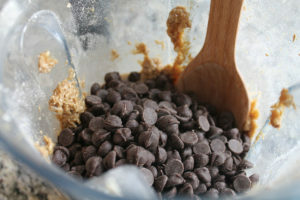 Add the remaining ingredients (except the chocolate chips) to the blender, and blend until combined. 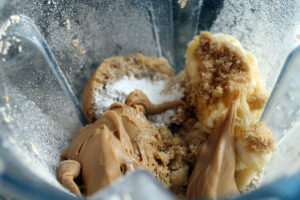 You will need to scrape down the sides and blend again to combine everything. The batter will be very thick. The oatmeal gives it a grainy texture. 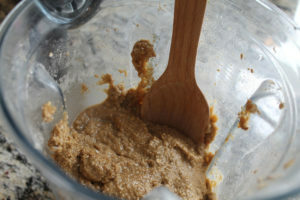 If it is too crumbly, add a few tablespoons of water to the mixture. Just remember you want the batter to be thick. Pour the batter in the loaf pan. 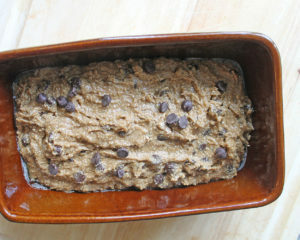 Top with the remaining chocolate chips.